Type of material: 100% single strand nylon. Product Advantages* Particularly resistant invisible thread that cannot twist and is rot-resistant. * Controlled stretch. * The thread is almost invisible thanks to the two colour tones used (clear and tinted). 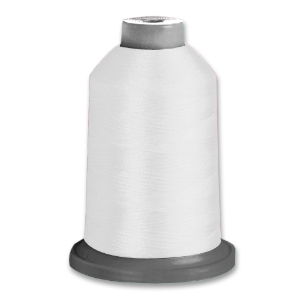 King Spool 250g Application: Trimmings / Cornely / industrial sewing / Curtains / Invisible point / Eyelets / Embroidery and placement of thin cord.